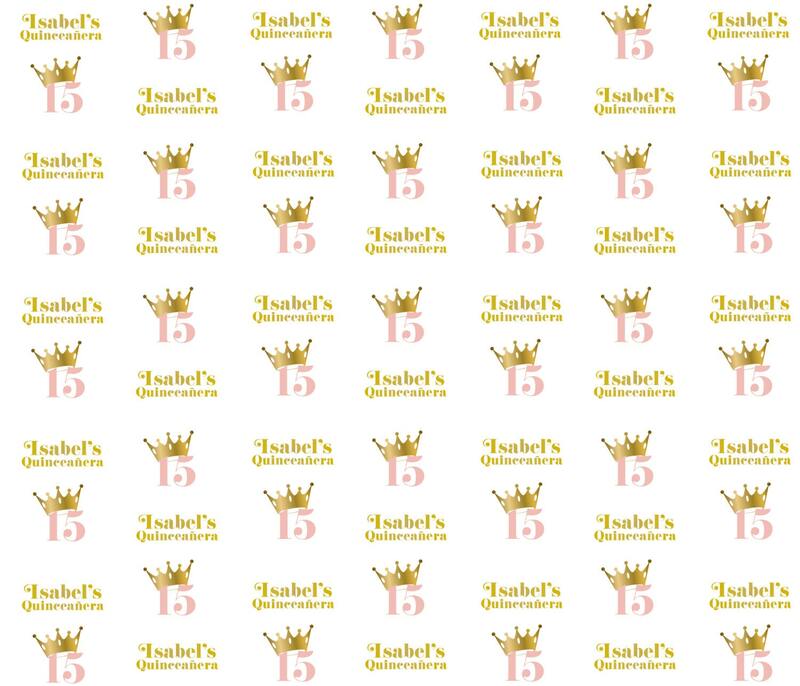 ackdrops are a great way to decorate and turn your event into a Red Carpet night. 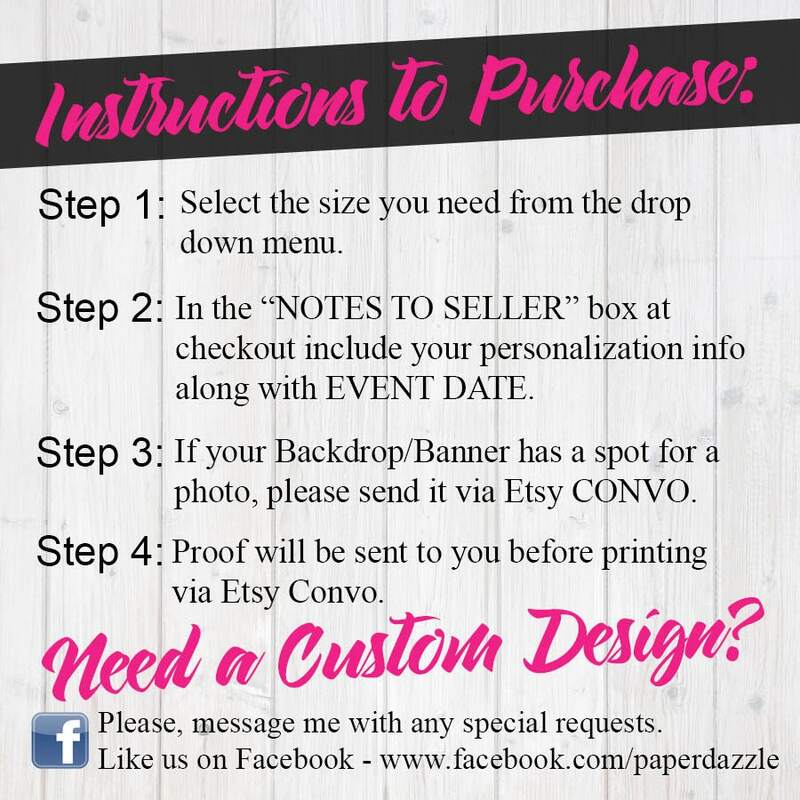 Once purchased please include your PERSONALIZATION INFO in the notes to seller or GET it Blank with no writing. 3. A proof will be sent to you before printing. All proofs are sent via Etsy Message, please check for them to avoid delays. 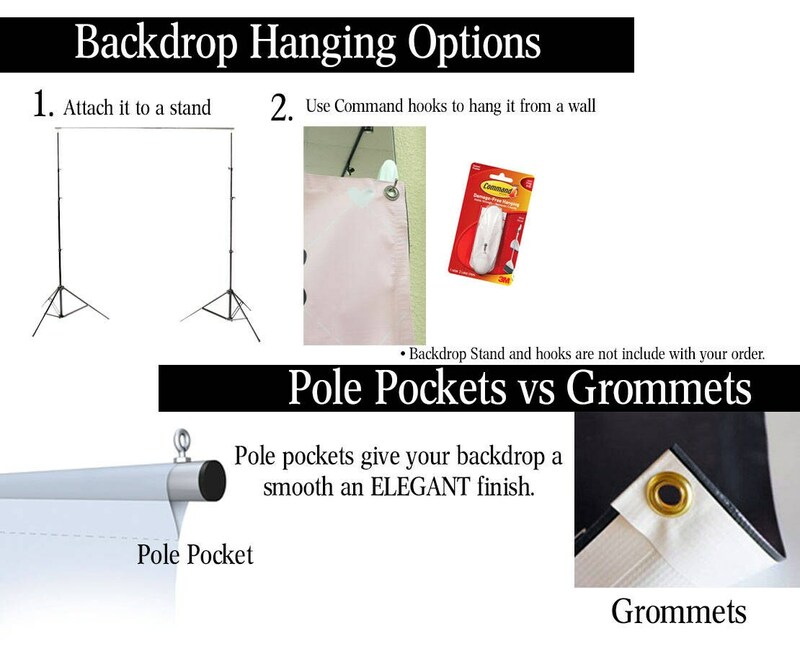 ●●●Grommets - Recommended if you are using command hooks to hang it off a wall or attaching to photo stand. Please note that all samples in my shop are digitally created. I assemble samples to give ideas for use. If you would like to see actual setups. I have a few samples that you can see in my FB Page.